The Friday home tour always calls for something extra special. So this morning I've been hunting high and low for a space which I think is simply amazing. And this is it. 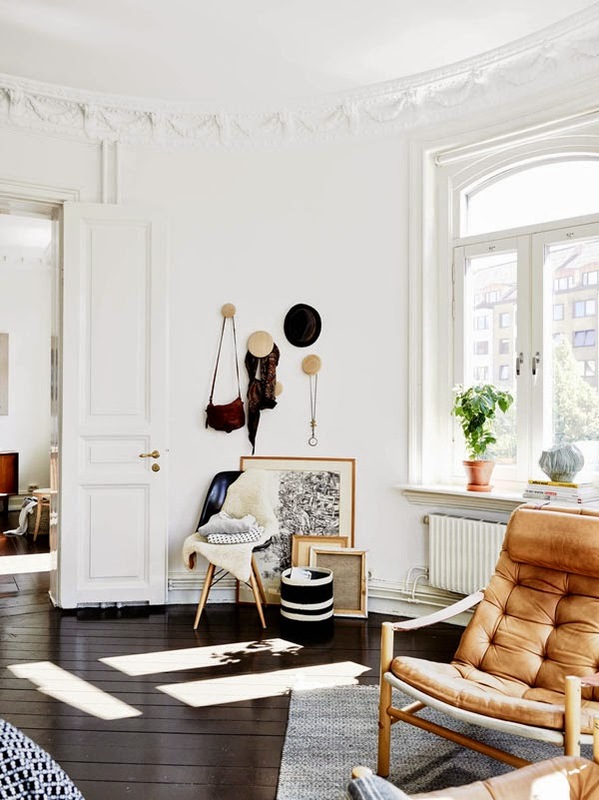 A Gothenburg apartment with beautiful high ceilings, white walls and grounded by a black floor to create a homely feel. 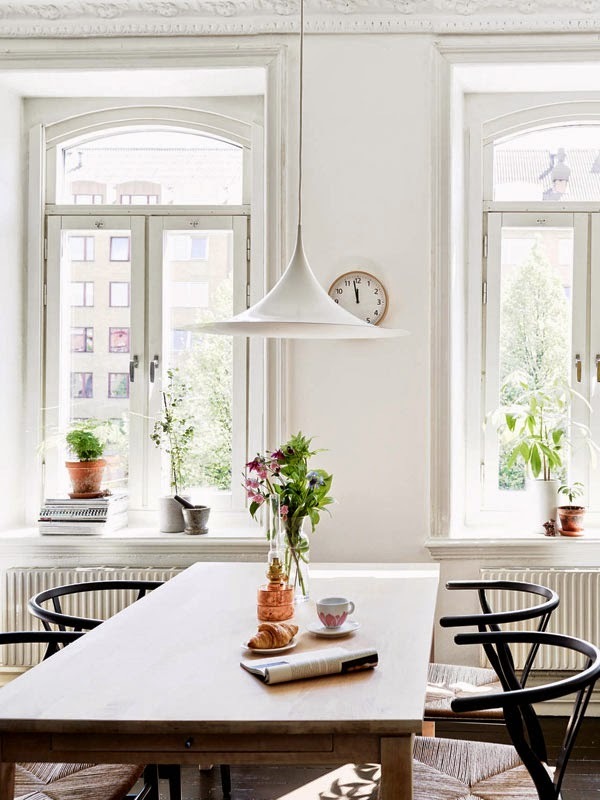 I love the cognac and grey accents and the beautiful classical wishbone (or CH24) chairs in the dining room too. What a fabulous home, don't you think?! 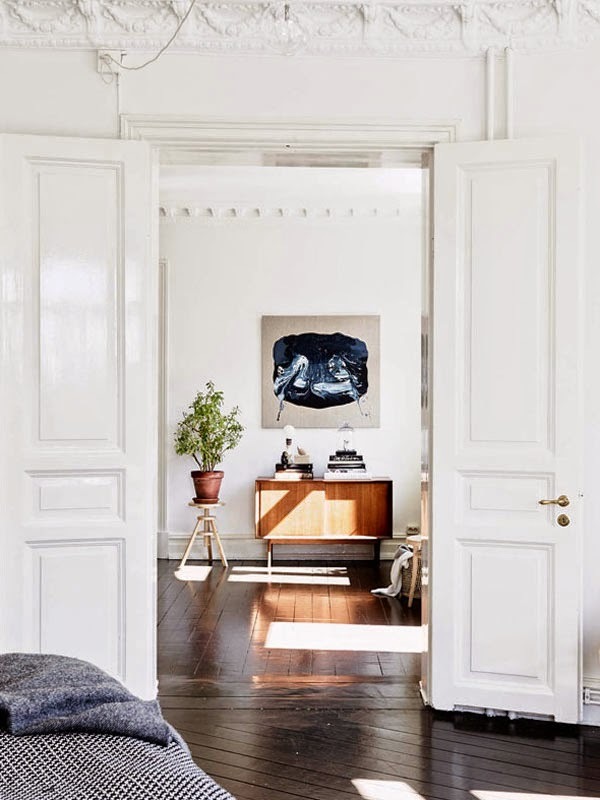 You can take a look through the entire Stadshem archive (for beautiful home after beautiful home inspiration) here. Incidentally I can't believe how popular yesterday's home tour was. On Facebook alone it's already received over 470 likes and 23 shares - incredible! So great to see! 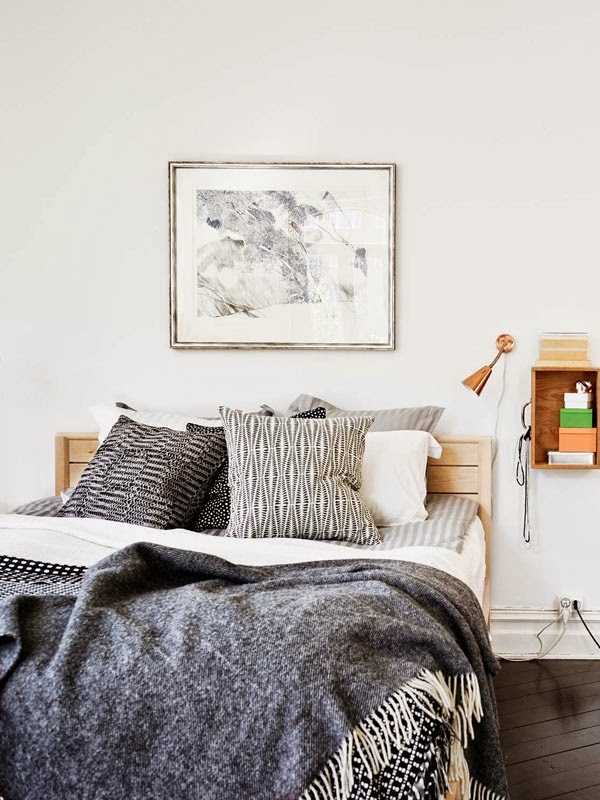 Before I head off, I've got a quick reminder: I'll be holding a really exciting weekend give-away here on My Scandinavian Home over the next two days so don't forget to stop by and enter, it will be open to everyone! Yes. Fabulous and perfect for me. I love everything about this home. The molding in that apartment is amazing! I love the warmth the floor brings. Lovely! 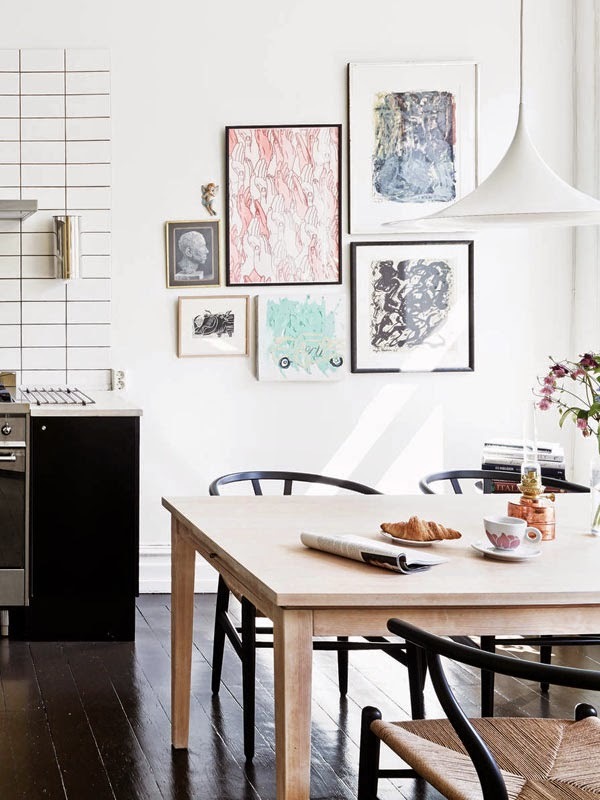 Especially the artwork in the kitchen looks nice. Wow, just stumbled across your blog, love all the gorgeous things! 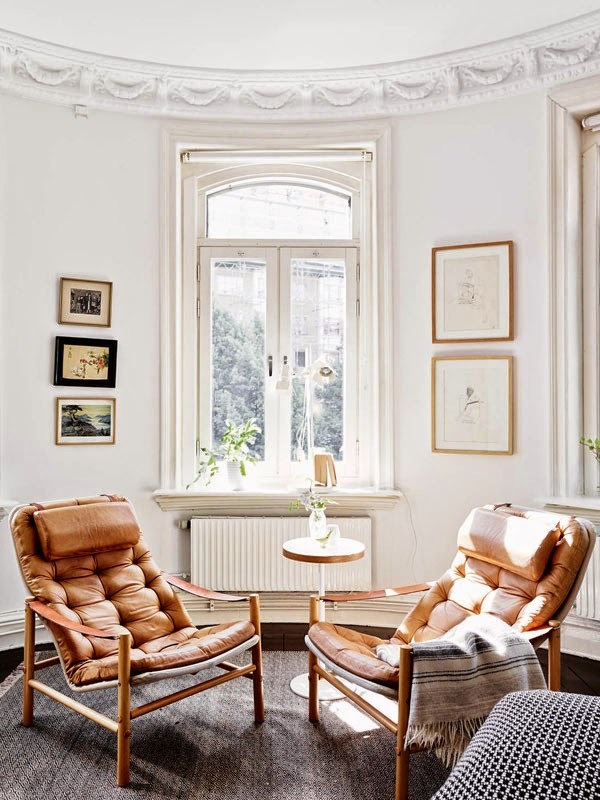 I just wondered if there was a name for the style of the leather wooden framed arm chair? 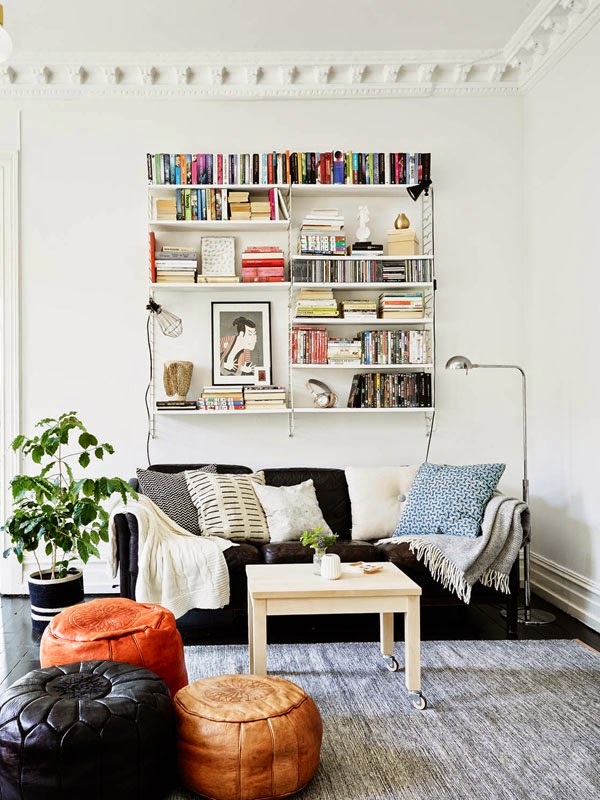 what a wonderful home, I'm getting so many good inspirations from these images..!